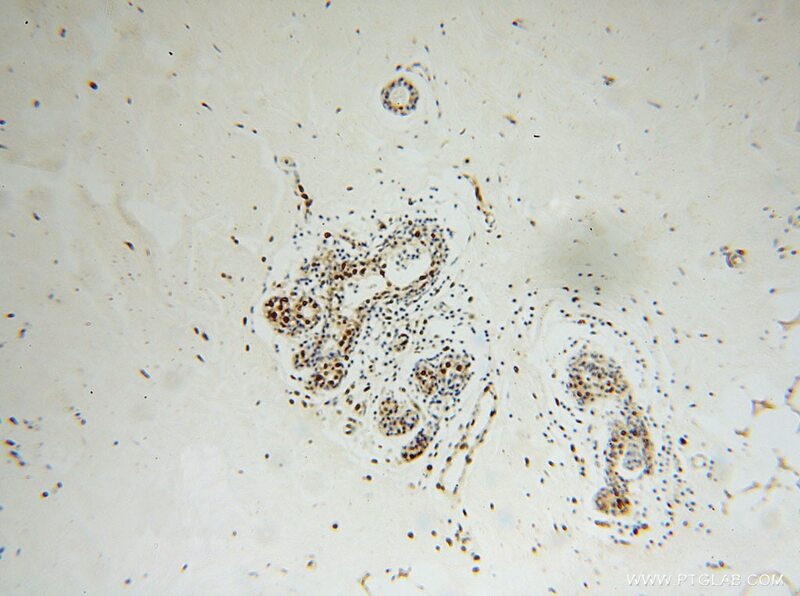 WB result of Ku80 antibody (16389-1-AP, 1:4000) with si-Control and si-Ku80 transfected HEK-293 cells. 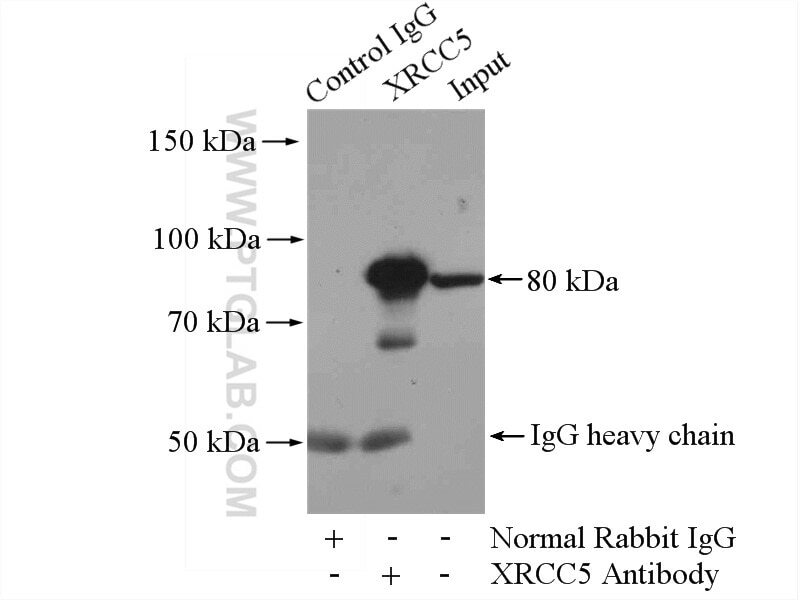 Immunofluorescent analysis of HepG2 cells, using XRCC5 antibody 16389-1-AP at 1:50 dilution and Rhodamine-labeled goat anti-rabbit IgG (red). 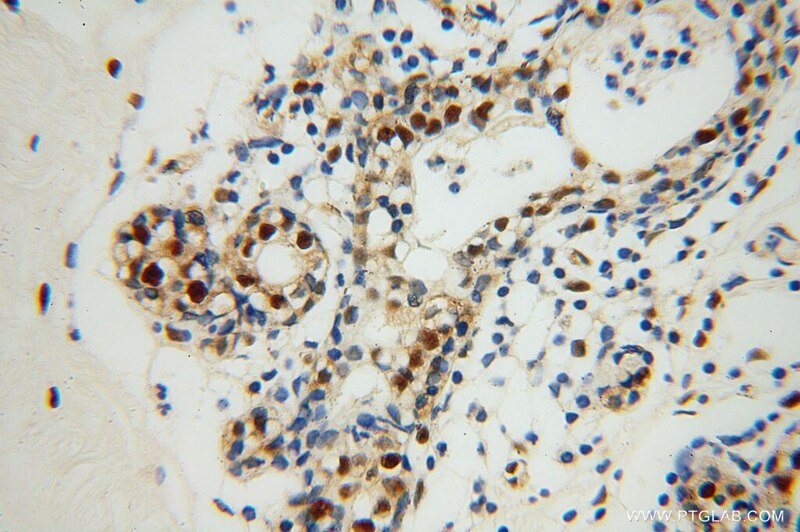 IP Result of anti-XRCC5/Ku80 (IP:16389-1-AP, 4ug; Detection:16389-1-AP 1:1000) with HEK-293 cells lysate 1200ug. There are at least two pathways for eukaryotes to repair DNA double-strand breaks: homologous recombination and nonhomologous end joining(NHEJ). The core NHEJ machinery includes XRCC4, DNA ligase IV and the DNA-dependent protein kinase complex, which consists of the DNA end-binding XRCC5/XRCC6 heterodimer and the catalytic subunit PRKDC. The heterdimer of XRCC5/XRCC6 enhanced teh affinity of the catalytic subunit PRKDC to DNA by 100-fold. 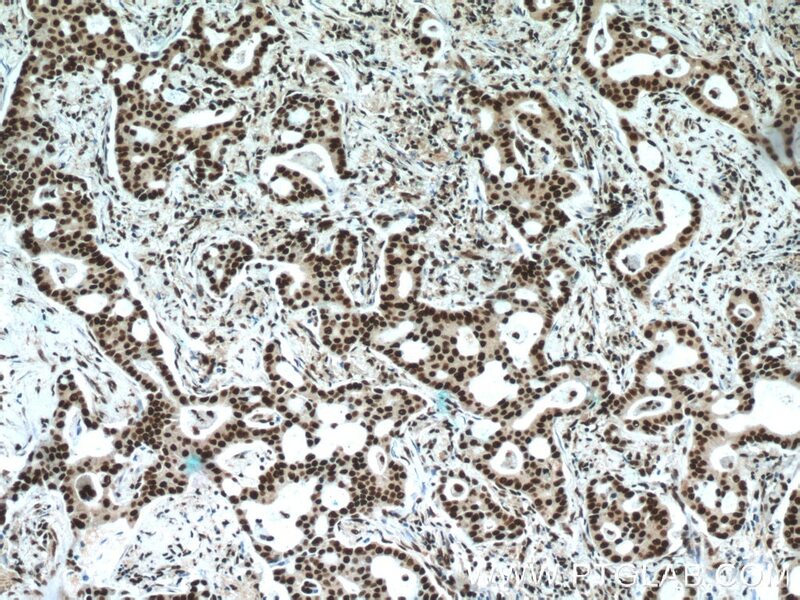 Once the XRCC5/6 dimer association with NAA15, it can bind to the osteocalcin promoter and activate osteocalcin expression. 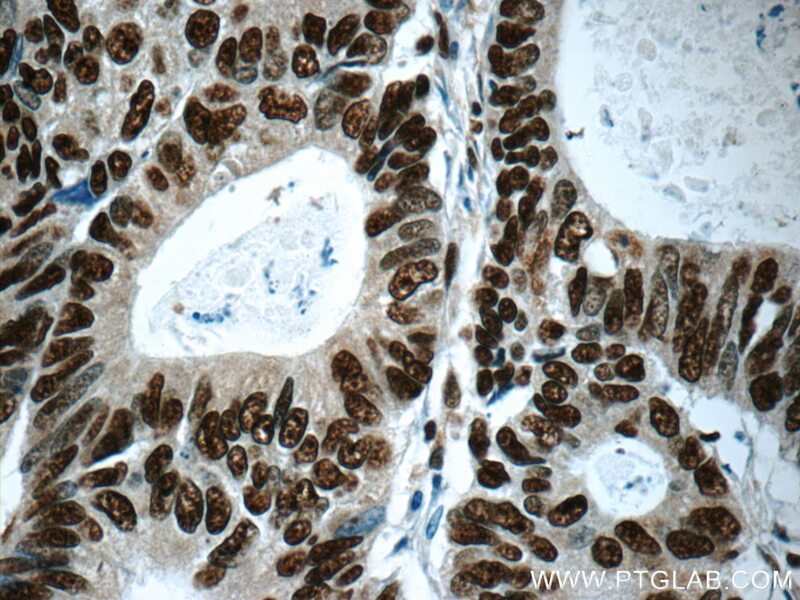 The XRCC5/6 dimer acts as a negative regulator of transcription when together with APEX1. 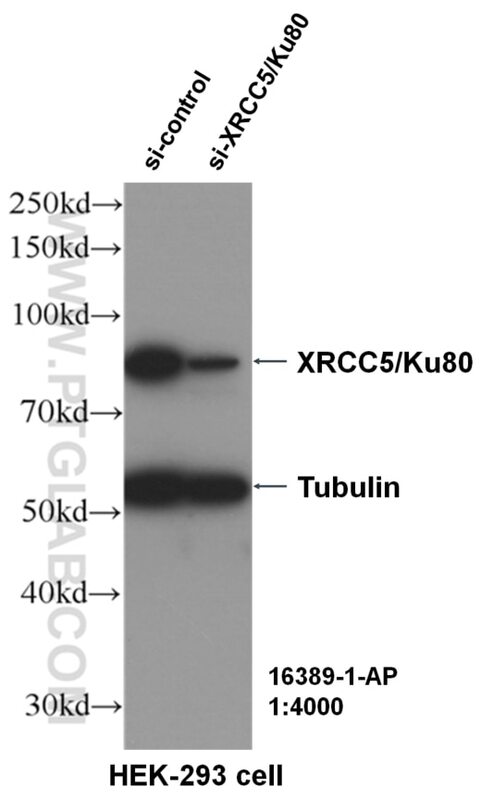 Some publised papers indicated that the MW of XRCC5 is 86kDa, while more papers suggested that XRCC5 is a 80kDa protein, as it was firstly introducted in publication. Thus, Ku80 and Ku86 are the same protein. 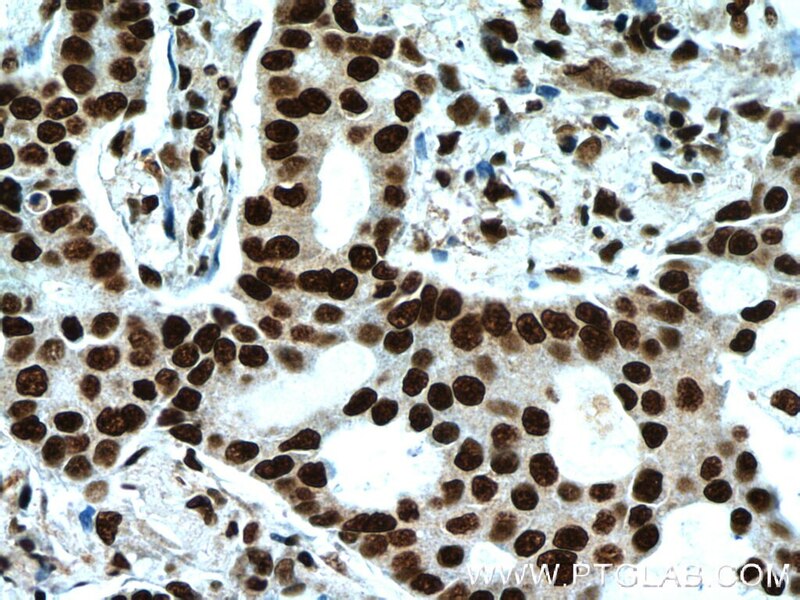 UBE2S, a novel substrate of Akt1, associates with Ku70 and regulates DNA repair and glioblastoma multiforme resistance to chemotherapy. 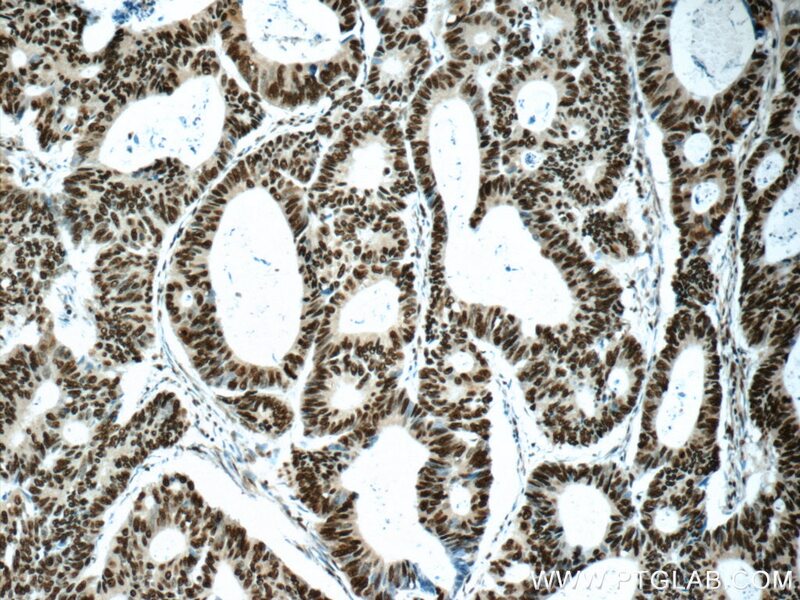 Sensitization of tamoxifen-resistant breast cancer cells by Z-ligustilide through inhibiting autophagy and accumulating DNA damages. 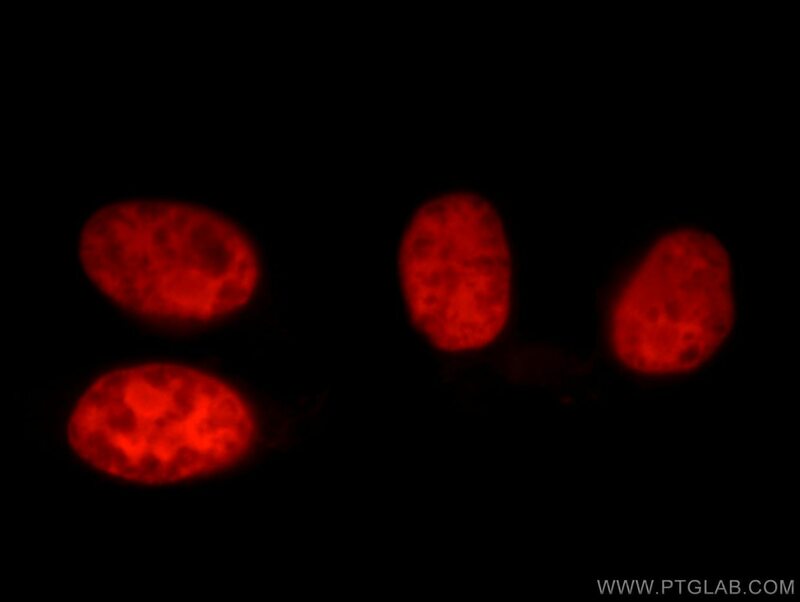 Double Strand Break DNA Repair occurs via Non-Homologous End-Joining in Mouse MII Oocytes.